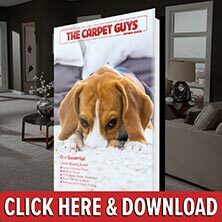 Looking for a free carpet and installation estimate in Springfield? Schedule one with the most loyal and trustworthy local carpet dealer, The Carpet Guys! We know that getting new carpeting installed can seem a bit daunting, so let us make it easy on you. Whatever carpeting needs you may have, we know how to get them taken care of. Let us take any stress you may have off your shoulders. Once the installers arrive at your home, they will begin by removing the furniture from the room getting carpeted free of charge. After all the furniture has been moved, the old carpeting can be ripped up, bundled neatly, and placed outside by the curb. Once the old carpeting has been removed new eight pound carpet pad is rolled out and the carpeting is laid and installed. After the installation is complete, the remnants are taken out of the room and the furniture is placed back into the original layout. No matter what your carpeting needs may be, get them handled with us today. We promise that you will love your new carpeting for years to come.